The McEvoy family inspires me to get outdoors with my family and go on an adventure. They crave beautiful landscapes and unique experiences and have traveled the world to to find them. The McEvoy's also hope to teach their children that they can do hard things, to love and respect the planet, learn about new cultures, and help them see that life isn't just meant for adventure but you are meant to make a difference along the way. We loved learning more about the McEvoy family through this interview and know you will too. You can also find them on Instagram at @macs_explore or on their Adventure Together website. 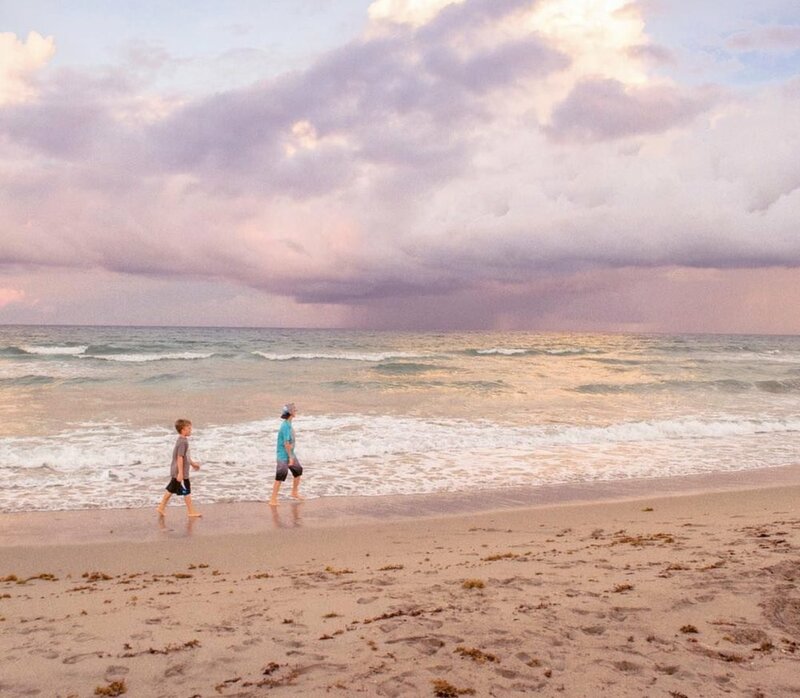 We are the McEvoys--Eric, Christina, Austin (12), and Carson (9) and you can find us on Instagram as @macs_explore. We love outdoor adventures and traveling, and if we can combine both, than we've hit the jackpot! 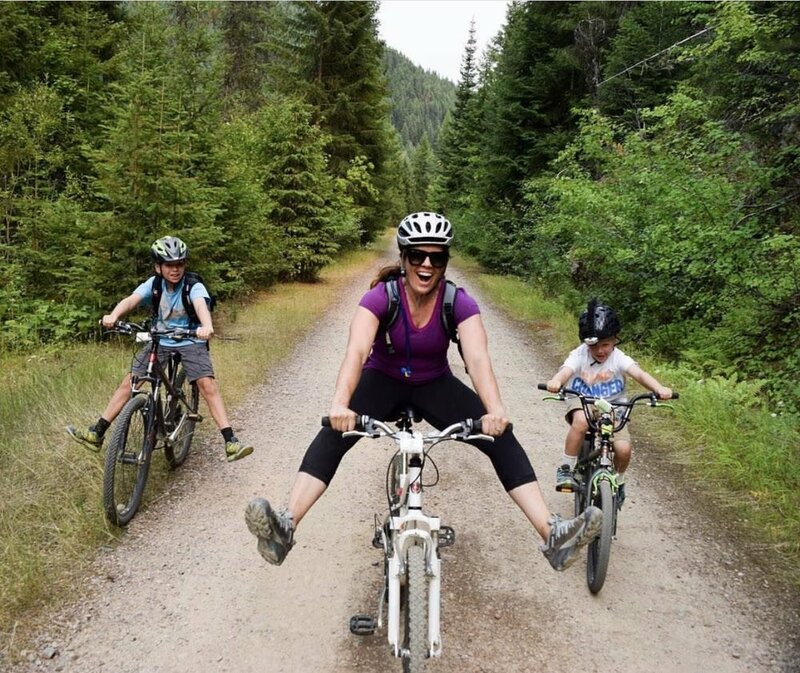 We try to do a little of everything in every season--mountain biking, kayaking, camping, skiing, paddle boarding, and of course, lots of hiking. We also live very "normal" lives. My husband and I both work, and our kids go to school so our outdoor adventures and travels fit in on weekends and school holidays most of the time. 2. Where do you live? Has your family moved around at all? We currently reside in Boise, Idaho and love living in the Pacific Northwest. We chose this location because it was close to Utah, where we have a lot of family (plus we are obsessed with Southern Utah! ), but also because we are close to Oregon, Washington, and Montana. There is so much to see and do just in those states alone that it would take a lifetime to see it all. We have grown to LOVE Idaho too though, there are so many secret gems all over the state! People call Idaho, "America's Best Kept Secret" and it really is true! Since 2000, we have lived in Utah, Ohio, and California, but Idaho the longest. 3. How often do you travel with your family? Is it local travel or international? Where has been your favorite place your family has traveled? We travel as often as we can afford (and take time off from work), however at the moment, most of our travels are within the West Coast states. We do leave the country at least once a year, but wish it was more often! Our favorite places we've traveled so far would be Costa Rica, Jamaica, and Alberta, Canada. We are currently on working on plans to travel full-time in a year, we are really excited about it! 4. You do a lot of outdoor adventures and activities with your kids and husband. What are your favorite activities to do together? What has been your most adventurous trip as a family? Our favorite outdoor activities are probably skiing, hiking, and paddle boarding. One of our most adventurous trips was kayaking around the San Juan Islands last summer. We had some wild weather (to be expected in the PNW), but we saw so many whales, bald eagles and seals, making it all the more memorable! We camped right on the water each night and enjoyed some hot springs after each day. It was heaven! 5. Why do you like to travel with your kids? We love exposing our kids to different areas of the country and world, because we feel like that is truly how they gain an education about the world around them. Our kids know a lot about different plant and animal species since we spend so much time outdoors and they are are also quite savvy with many outdoor survival skills. We also want our kids to see that most of the world doesn't live like us in the States, so it's very important to us to travel to third world countries as their eyes and hearts are opened to different cultures and ways of life. We try to find small ways to serve in the countries we travel to, which make for the longest lasting impact on our kids. They still talk about the time we went to an orphanage in Costa Rica to play with the kids and give them clothes and toys! 6. What's a memorable travel experience you've had with your family? There are so many memorable travel moments (as mentioned above), but one of our favorites was our hike to Grinnell Glacier in Glacier National Park. It was a really tough, long hike and the weather was temperamental, but so many life lessons were learned on that hike such as not giving up, focusing on the journey and not the destination, working together as a team, and realizing our potential. Our kids still talk about that hike. It was one for the books. 7. What are the easiest and hardest parts about traveling with kids? The hardest part about traveling for us is we often do hard things (or try new things), and that isn't always easy on our kids. One of our kids is more timid and cautious by nature, so it can require some gentle coaxing and reassurance to get him to try some thing he hasn't done before (like rappelling off a 100 ft waterfall!). Our family vacations are rarely relaxing or easy, they usually require a lot of physical exertion, patience, and testing our limits. But the reward is more than worth it. Our kids astound us with what they are capable of. The easiest part of traveling with our kids is we are at a good stage where we don't have to deal with car seats, naps, temper tantrums and early bedtimes! Our boys are great travelers--they adjust well in a new place/culture, they will eat pretty much anything, and they love to learn about the places we go. 8. What are your favorite travel resources? Lonely Planet Kids has been a great resource for us, especially as we focus on outdoor travel. We get a lot of great ideas on Instagram from other like-minded families too! We love the community on Instagram of others sharing tips and ideas. The possibilities are endless! 9. 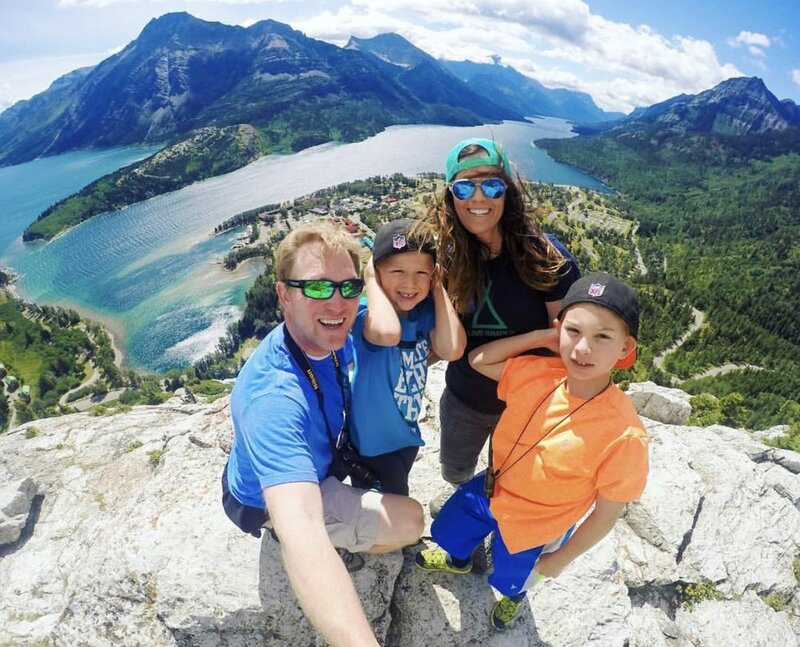 What tips do you have for families who want to do adventure travel, but aren't sure where to start or might be a little afraid? Adventure travel can be intimidating, especially with little ones. Our #1 tip would be to start with small adventures (we call them micro adventures) and build from there. For example, a short, local hike is a great way to build your kids' endurance and confidence. Gradually add in trying new things such as paddle boarding, or snow shoeing and always make it fun for them! When the parents have fun, the kids usually have fun! Sounds like a no-brainer, but so many parents stress about every little thing and that wears off on the kids. Relax, don't worry so much, and enjoy the time you have together. 10. What are three items you never leave home without? 11. How can you afford to travel and do all of the amazing adventures you do? We don't go on luxurious vacations where we stay at 5-Star hotels and resorts and splurge on amazing food. 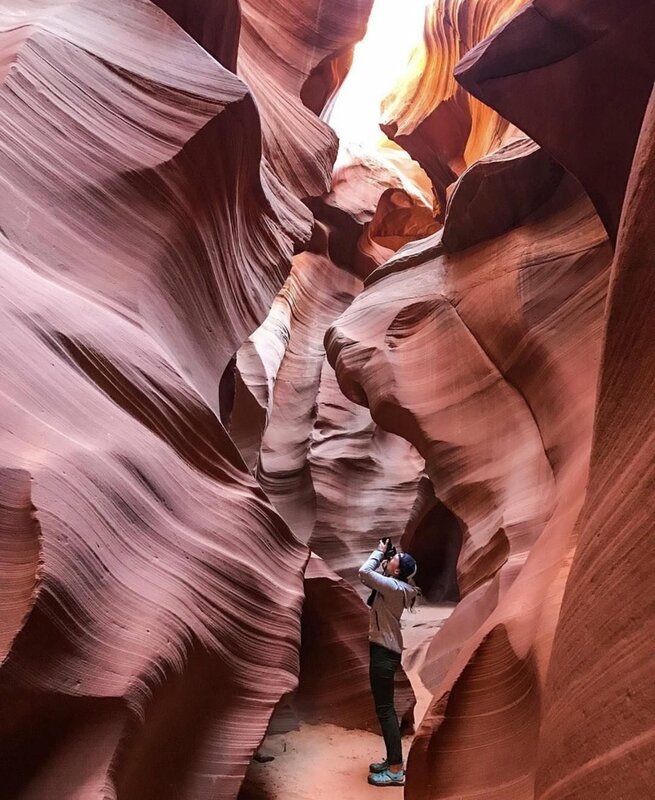 We tend to save our money for experiences and adventures such as canyoneering, horseback riding, etc. We often choose to stay in Airbnb's because we can find something great in our price range, have a kitchen to cook in (which saves us a lot of money by not eating out a lot), and we can "live like a local". We also do a lot of camping if we are traveling within driving distance and that always saves us money on accommodations and transportation and it's always an adventure! For us, it always boils down to prioritizing our spending when we have extra money. We don't buy fancy cars or a nicer house and we don't eat out a lot when we are at home. We save every bit we can and put it towards our travels and adventures and invest in good outdoor gear that will last us a long time. 12. What's your next travel adventure? We have a fun summer ahead with lots of shorter trips over long weekends to places like the Tetons, the Sawtooths, Bend Oregon, and possibly Aspen, Colorado but our big trip is to Iceland in early September for two weeks. We are so excited about that and have some amazing adventures planned! 13. Anything else you want to tell us or want us to include? 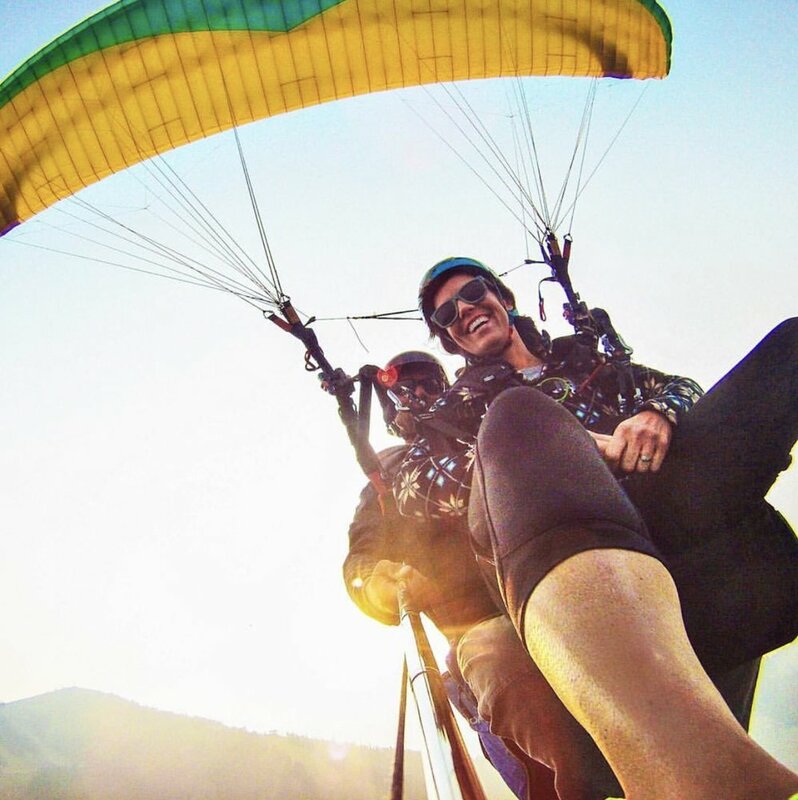 We have a blog called http://adventuretogether.com/ that we launched recently with our good friends, the Vons. It's been a lot of work and we still have content to add, but we have some big things planned for it. We also have a community page that we started on Instagram called @goadventuretogether (which is tied to our blog), where we feature others outdoor adventures and tips. It's been a lot of fun! Don't forget to follow the McEvoy's on Instagram at @macs_explore or on their Adventure Together website.